Changing a tyre on the side of the road is no walk in the park; and when you have to drop the kids off at school, be at a management meeting that you cannot afford to miss, navigate fast moving traffic and endure bad weather, it’s enough to have even the most considerate drivers struggling to stay calm. In addition to this, any combination of these factors could lead to a nerve-wracking, unpleasant and even highly dangerous situation. When a traditional tyre experiences a sudden loss of pressure, the rim of the wheel brings the full weight of the vehicle to bear on the collapsed sidewalls. Once the sidewalls collapse, the vehicle can barely be manoeuvred and the tyres are destroyed after a short distance. SSR technology promotes maximum safety in the event of a pressure loss. The secret of the SSR tyre lies in the reinforced sidewalls of the tyre. The reinforced sidewalls supports the rim, should the tyre suffer a loss of tyre pressure; and prevents the tyre walls from becoming squashed between the wheel rim and the road. 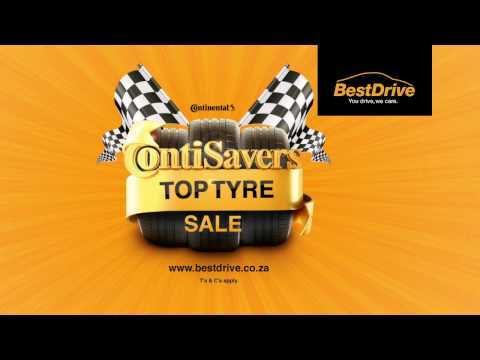 Most BestDrive tyre fitment centres around South Africa stock and fit the SSR tyre. Give your nearest BestDrive centre a call to find out if they have them in stock.